Justice R. I Ahiakwo of the Rivers State High Court sitting in Port Harcourt today convicted and sentenced the managing director of Topsam Nigeria Limited and MCmalay Integrated Services Limited, Mr. Emmanuel Ayoola to six (6) months imprisonment with an option of fine, for issuing two dud cheques to settle some financial obligations totaling Eight Million Naira only to a micro finance bank. The convict was first arraigned in September 2012 by the Economic and Financial Crimes Commission, EFCC, on an amended 2-count charge bordering on issuance of dud cheques. 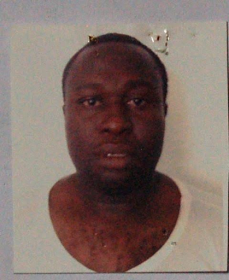 Ayoola was alleged to have issued two dud cheques ( a First Bank Nig. Plc cheque no 0043425886 dated 23 March 2011 in the sum of Six Million Naira in favour of Resort Saving & Loan Plc in the name of Topsam Nigeria Limited and another, a Diamond bank Plc cheque no 32222021 dated 31 March, 2012 in the sum of Two Million Naira in favour of the same Resort Saving & Loan Plc in the name of MCmalay Integrated Services Limited. Investigations by the EFCC showed that, when the cheques were presented, they were returned unpaid due to insufficient funds. The convict initially pleaded guilty to the charges pressed against him. However, midway into the trial, Ayoola instructed his counsel, D. Cole Esq to apply for a plea bargain, which was granted by the court. Consequent upon the plea bargain, he pleaded guilty and the court subsequently convicted and sentenced him to six months imprisonment with an option of fine. The court did not call for further restitution, as the defendant, prior to the plea bargain, had made full restitution of the total sum of Eight Million Naira.